They're coming out! The loveliest places to catch winter snowdrops across Berks and beyond over the next few weeks. Shorts and sandals at the ready, spring is here. Er, okay maybe not, but the snowdrops are! If you’ve thawed out enough after Jan to venture outside and see them, here are the best snowdrop hotspots in our ‘hood and beyond. Why Welford Park? It’s only got one the finest natural snowdrop woodlands in the chuffing country – four fabulous acres. Visit Wed-Sun (11am-4pm) until Sun 3 Mar. Cliveden’s snowdrop scene had an upgrade back in 2017 when former head gardener and Amersham based charity TalkBack planted over 36,000 seeds on the grounds. The flowers sprang up early this year, at the beginning of Jan, with the Long Garden and Blenheim Pavilion promising the best display. A great spot if you fancy a stroll with your annual snowdrops. Basildon, on the Berks border, has loads of different routes around its 400 acre parkland and gardens including the green walk through the woodland, or the longer three mile orange route around the estate’s boundary. It’s snowdrops in abundance over at Waterperry Gardens with over 60 varieties of the white bloomer springing up across the site’s eight acres. 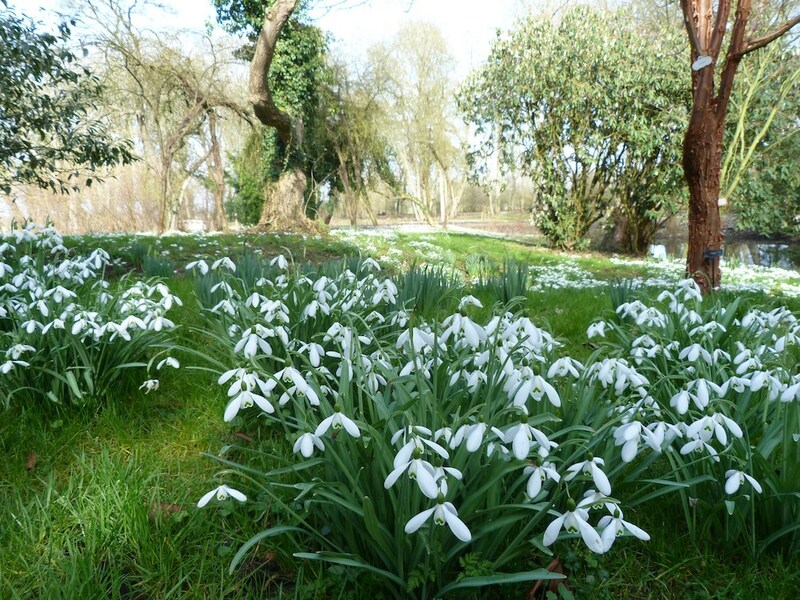 A half hour drive west of central Ox, the gardens are running two Snowdrop Weekends, Sat 16 – Sun 17 and Sat 23 – Sun 24 Feb, with free guided tours of the grounds. You’ll get more than just snowdrops over at Hughenden, two miles north of High Wycombe. By early spring the huge 680 acres is carpeted in all sorts of seasonal foliage; scilla siberica, daphne mezereum and bergenia cordifolia, adding bright pinks and purples to the grounds *gets camera ready*. A lesser known hotspot, south of Ox, snowdrops and bright yellow aconites usually spring up around St. Botolph church’s 1000 year old grounds in Feb and early Mar. If you fancy a walk, you can head on to the ridgeway and across Swyncombe Estate. And there we were thinking Stowe gardens couldn’t get any more picturesque. Stowe loves its snowdrops, or should I say Stowedrops, with the vast landscape gardens usually carpeted until the end of Feb. Hit up the Elysian Fields, Sleeping Wood and Lamport Garden to see the best of them. The Big One. 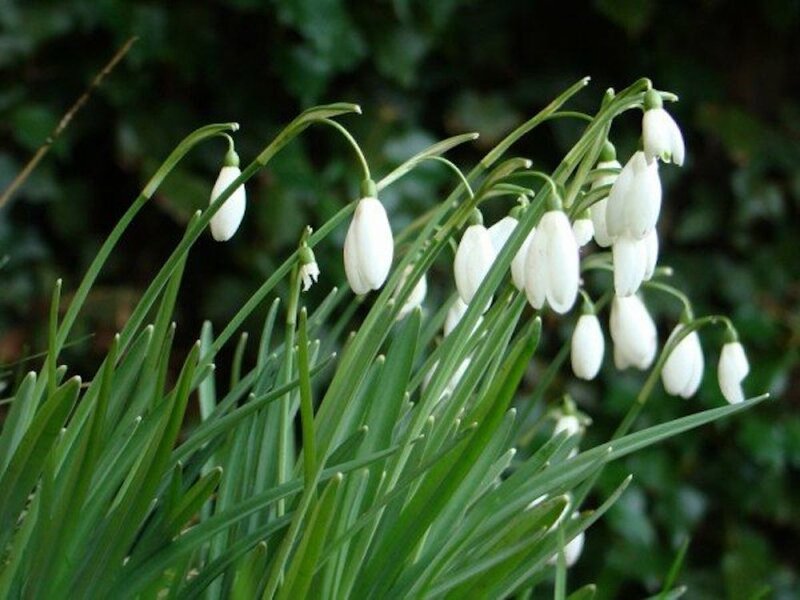 It’s impossible to talk about snowdrops without naming Benington. 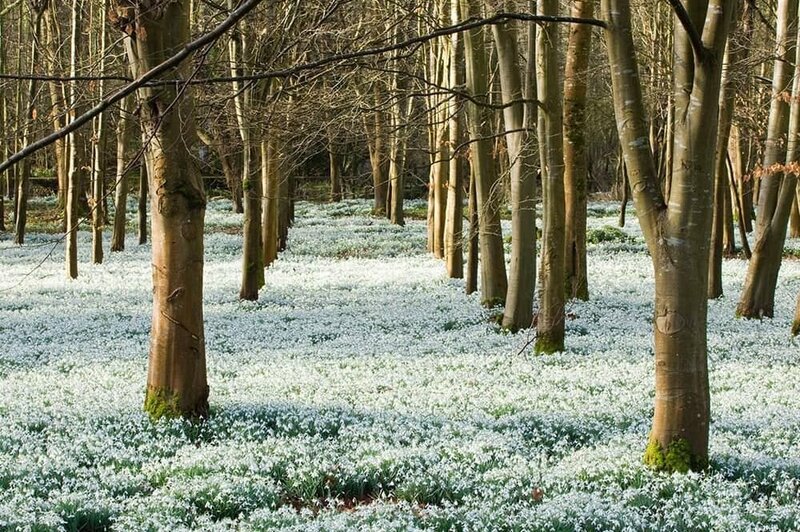 Close to Walkern and Stevenage, Benington has the lot and, with 200 varieties surrounding the Norman castle and moat, is often cited as the best snowdrop site in the country. You can also catch a concert, every Sunday at 2.30pm, in St Peter’s Church. No dogs allowed. This stunning Georgian manor house set in a medieval hunting park is also a wedding venue and popular filming location. Eight acres of snowdrops and aconites to admire as well as homemade cakes inside. Ancient yews, a Norman tower and a four hundred year old thatched cottage make for a perfect backdrop for snowdrops, am I right? Load of different varieties spring up on the churchyard along with pretty cyclamen, crocuses and other spring bulbs. Back in the old days snowdrops were planted by monks as a symbol of purity with Anglesey, a former priory, a great example of monastic planting. It’s National Trust, so it offers your usual restaurant and shops and even a second hand bookshop. Snowdrop walks, aconites, and all in gardens landscaped to an Anglo-Dutch design. At one point this estate was bought by a sugar baron, which leads me to the Potting Shed Cafe. Cake! A smaller space for snowdrops, the one and a half acre woodland gardens open just in time for the season in late Jan. Loads of snowdrop varieties as well as other spring offerings in the pretty space. Open for a select few dates in Feb, the early spring gardens have collections of snowdrops, hellebores and other colourful bulbs. The spaces also feature Pergolas, a wildlife pond, kitchen garden and refreshments.